CLOSEOUTS. 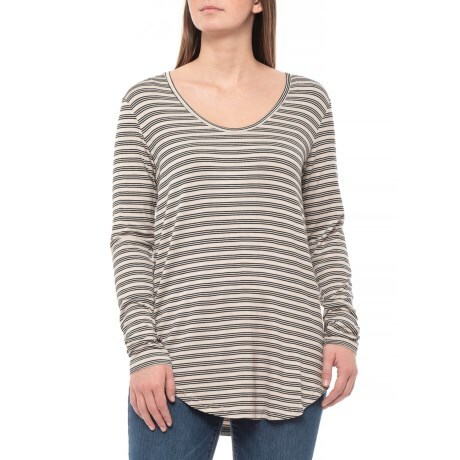 A light and lovely top for casual days, Kavuand#39;s Ash Sunridge Stripe shirt combine a low-cut neckline with supersoft fabric that drapes like a dream for a flattering look. Available Colors: ASH. Sizes: XS, S, M, L, XL.